dave east nas netflix rapture T.I. NETFLIX ORIGINAL DOCUMENTARY SERIES RAPTURE TRAILER NAS + DAVE EAST AND T.I. NETFLIX ORIGINAL DOCUMENTARY SERIES RAPTURE TRAILER NAS + DAVE EAST AND T.I. 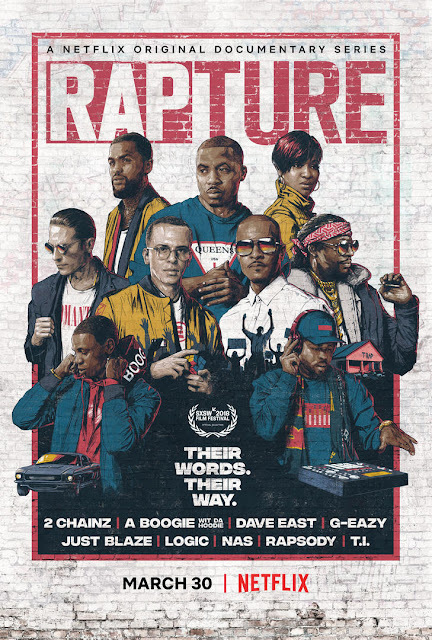 RAPTURE TRAILER NAS + DAVE EAST AND T.I. OUT NOW! From Mass Appeal, Rapture stares directly into the bright light that hip hop culture shines on the world and doesn’t blink. Throughout 8 episodes and featuring a diverse swath of artists -- Nas and Dave East, T.I., Rapsody, Logic, G-Eazy, A Boogie wit da Hoodie, 2 Chainz andJust Blaze – Rapture dives into the artists’ lives with their families and friends, to sitting front row in the studio and grinding on tour, to experiencing the ecstatic power of moving the crowd.